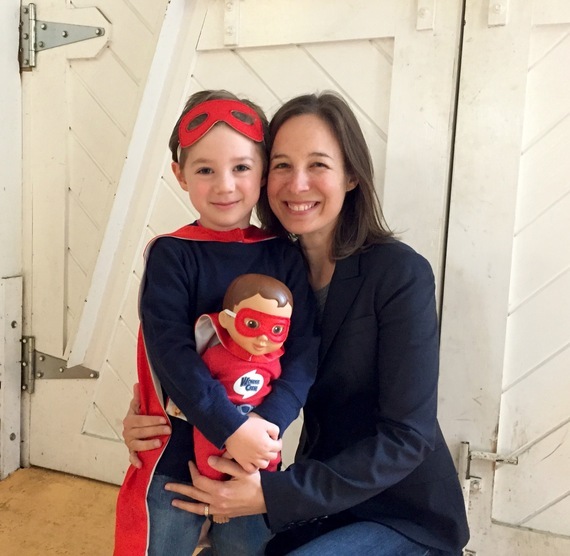 Laurel Wider is a mom, psychotherapist and, now, a toy inventor. Between all of that and a 4-year-old son, every day is a balancing act. Laurel is the simple yet stylish Founder and CEO of Wonder Crew. From Sheryl Sandberg to Marissa Mayer, women are not sacrificing themselves for their kids like they used to. Why? If you ask me, a confident and happy woman makes a better mother. And whatever it takes to get there should be done. But as a mother myself, I know how hard it is to maintain a sense of style, run a successful business and to feel like an okay parent all at the same time. Women who are flawlessly manifesting this enchanting trifecta are the new wonder women of our times and they are my idols. So I got to wondering how they actually do it all and have it all. Is it really possible? Are they hiding something? Do they secretly never floss? I hope to answer these questions and to give the rest of us moms motivation to stay true to ourselves, live fulfilling lives and love our families as much as ever through interviews with moms who are already doing it. Laurel Wider is a mom, psychotherapist and, now, a toy inventor. Between all of that and a 4-year-old son, every day is a balancing act. Laurel is the simple yet stylish Founder and CEO of Wonder Crew, a new line of toys that bring emotional intelligence and creativity to boys' play. For the past decade, Laurel has been in private practice first in NYC and now in Western Massachusetts specializing in gender, relationships and identity. Both her clients and her 4-year-old son are the inspiration behind Wonder Crew toys. How did Wonder Crew toys come into being and how did you know it was the idea to run with? Inspired by the way play impacts child development and the recent surge of STEM toys for girls, I wanted to bring emotions to boys' play. Side rant: ideally play is not divided by gender, but since we're still living in a world where it is, I wanted to hone in on popular trends in boy culture and figure out a way to merge this with play that made space for connection, empathy and nurturing. Friendship is an awesome place to embrace and explore connection and feelings, so I ran with it. How has having a child transformed your lifestyle? I've never been more present. Leave it to a child to teach you how to be in the now. If I had the power to be in multiple places at once, that would be incredible! My mom, she is confidently herself, quirky in the best possible way and always manages to find the good in every situation. 6:30am rise and shine, 11pm lights out. Focus on the basics; don't look at the big list of things to do. And be kind to yourself.